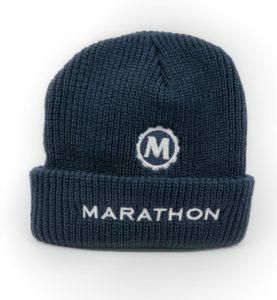 Home / HOLIDAY SALE: Save up to 50% + Gift w/ Marathon Watch Purchase: Official Marathon Winter Cap SALE! 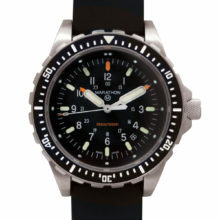 Save up to 50% on select products + Receive a Warm Holiday Gift w/ Marathon Watch Purchase! Cold weather is here and in honor of the holiday season, receive a gift from us…. an official Canadian Toque aka winter watch cap (NSN: 8405-21-891-3611). 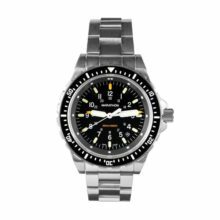 Simply purchase $200 or more in Marathon watches or accessories (can be single or multiple items as long as they are equal to or exceed $200 not including tax or shipping) from our website or via email to me. This cap features Marathon’s logo and is made from high-quality yarn with superior attention to construction and detail. Very warm…..while supplies last! Be sure to visit us now, during the holiday season for savings of up to 50% on select Marathon Watches and accessories (we always strive to have the best value: pricing and service). 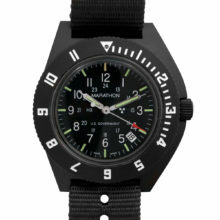 Marathon watches for the holidays! 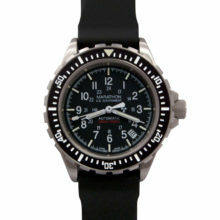 Marathon watches are the only tactical, military watches that are actual government issue timepieces. 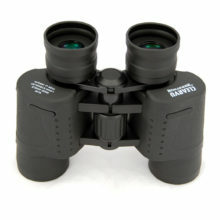 They are hand assembled in Switzerland. 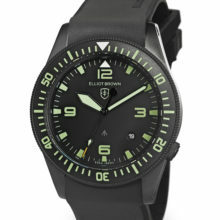 Most models feature tritium tube illumination for superb readability under all lighting conditions. 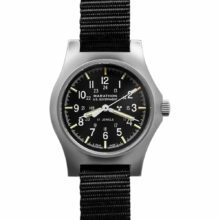 The military watch pictured is the popular Marathon Mechanical General Purpose watch in stainless steel which features a manual wind Swiss movement and is based on the Navigational watch Marathon supplied in the late 1980s. 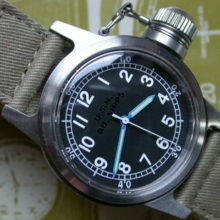 It is mounted on a Marathon leather Nato strap in black. 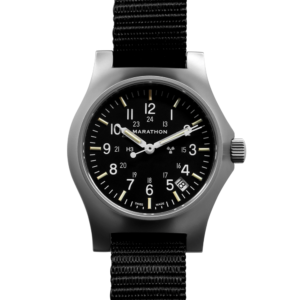 In 1941 Marathon began manufacturing timing instruments for the Allied Forces, and that tradition continues today with its fourth generation manufacturing fine quality innovative instruments measuring time, temperature and distance. 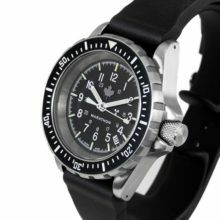 Marathon watches combine military durability with Swiss craftsmanship to guarantee the highest level of quality and accuracy in manufacturing. 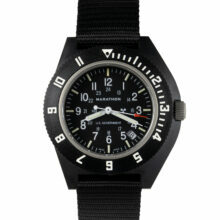 The Marathon Watch Company has manufacturing facilities in Switzerland, Canada, and the USA! 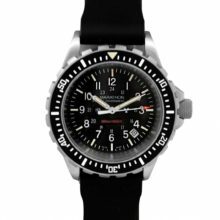 In addition to Windy City Watch Collector’s great service, competitive pricing and knowledge gained from supplying Marathon watches since 1996 to watch enthusiasts such as yourself, you will also be well equipped for your next adventure! Plus you also will be supporting a family owned small business! 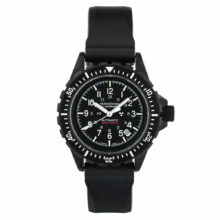 Pick up a Marathon Watch or Marathon accessory today! 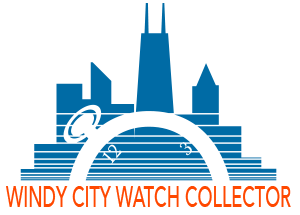 This combination of promotional gift and special pricing is only available at the Windy City Watch Collector. Supplies and sale duration are limited!